Alex is the founder and CEO of Lake Avenue Financial. He has been dedicated to assisting his clients in working towards their financial goals for over 20 years. He works diligently to help his clients crystallize their financial goals, and then develops a comprehensive plan to build and manage financial assets toward these goals. Alex actively monitors each personal plan year after year to ensure the plan is followed and to maximize opportunities by making occasional adjustments, when necessary, to help keep clients’ goals in view. Because of this plan-driven approach, he stresses that long-term, familiar relationships are the cornerstone of his business practice. Regarded by clients as “thorough” and “innovative,” Alex has served as a financial consultant to many successful professionals, business owners and retirees. His approach matches perfectly for individuals who want a well-conceived financial plan stressing long-term, value-orientated investing supported by effective tax and estate planning strategies. Throughout his career, Alex has devoted significant energy to assisting women who have gone through divorce or the loss of a spouse. Alex received a business management degree from Pepperdine University. He began his career working at a nationally-recognized financial institution and an accounting firm. 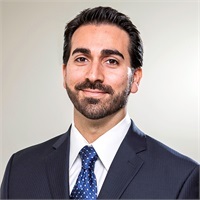 Alex entered the financial consulting business in 1997, founded Chalekian Wealth Management in 2003, and achieved the Certified Estate Planner (CEP) designation. He holds Series 6, 7, 24, 63 and 65 securities registrations with LPL Financial. He also holds Life, Disability and Long-Term Care Insurance licenses with the State of California. When he is not working, Alex commits his energy to his family, friends and community. Some of his favorite activities include traveling and playing sports.